Celtic kept their triple treble quest firmly on course as they swept nine-man Aberdeen aside 3-0 to book a place in next month's Scottish Cup final. The Dons had been holding their own at Hampden until they lost Dom Ball to a second yellow card (36) after a clash of heads with Ryan Christie - and James Forrest made the advantage count in first-half stoppage time (45+2). Odsonne Edouard's penalty (61) and a precise finish from substitute Tom Rogic soon after (69) settled the contest and a miserable afternoon for the Dons was compounded by Lewis Ferguson's red card in between (67). 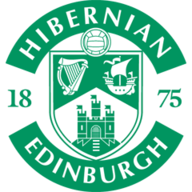 Hoops interim boss Neil Lennon will look to boost his chances of landing the post permanently by wrapping up the club's third straight domestic clean sweep when they take on final opponents Hearts on May 25. Defender Jozo Simunovic was Celtic's unlikely early threat but saw two decent chances evaporate as the Dons were forced to weather an early storm. But within seconds the game took a major swing in Celtic's favour as Ball got his marching orders. Already on a booking for a trip on Forrest, he was shown a second after his head cracked against the cheek of his former Pittodrie team-mate Christie in a sickening collision that left him with a suspected broken eye socket. While Ball trudged down the tunnel, there were worrying scenes as medics rushed to attend to the stricken Celtic player. Christie was placed in a neck brace before eventually being carried off on a stretcher after a five-minute hold-up. Aberdeen's reaction to the restart was quicker and they almost snatched the lead as Ferguson headed wide - but it was Celtic who made the breakthrough in added time. Forrest collected a short pass on the right from Callum McGregor then gave Max Lowe the slip with the dip of a shoulder before smashing an unstoppable drive past Joe Lewis. Celtic refused to relent as the action resumed. There was a let-off when Lowe cleared a McGregor shot off the Dons line but the clincher came from the penalty spot just after the hour mark. 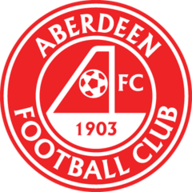 Aberdeen's day went from bad to worse on 67 minutes as Ferguson was next to go after diving in to Rogic with a two-footed lunge. The Australian took his revenge from the resulting free-kick. 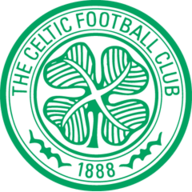 Lustig fired into the wall but the ball rebounded straight to Rogic who calmly took a touch before sending a sweet finish into the bottom corner.